Pretty solid dual-Manchester support for this dual-Euro screamo tour.... BEECHER were probably drawing in a fair few extra folks along by this point whilst GERMANY were technically astonishing from the off, playing instrumental rock like The Redneck Manifesto meets Owls. Quote of the evening : "I would like to thank... Germany....at home if I said it would be a little strange....." (one of the German bands). 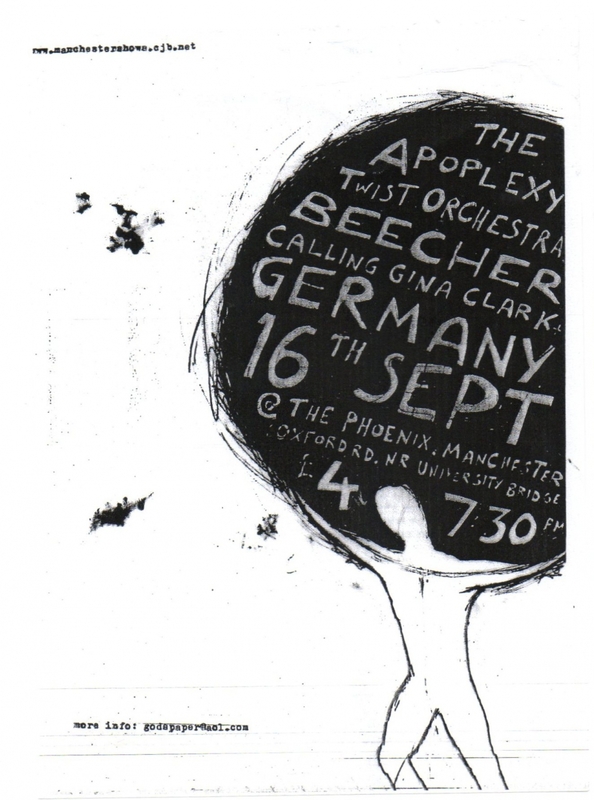 Gig and flyer by Daniel.